Fujitsu fi-6670 scanners deliver the automation and dependability needed for mission-critical production scanning applications. 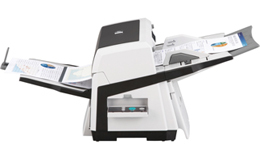 In addition, innovative features such as an intelligent multi-feed function drastically improves the batch scanning process by allowing the ultrasonic double-feed detection sensor to be trained to ignore intentional overlapping documents such as photos in insurance, patient label stickers in healthcare and taped on receipts for accounting expense reports. 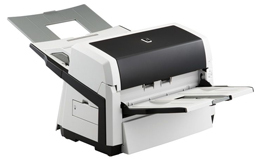 Adobe® Acrobat® Standard and ScandAll Pro are included with the Fujitsu fi-6670 scanner, which allow you to quickly and easily integrate your workflow.